Prestwick is a coastal town with an international airport, which King of Rock n Roll Elvis Presley briefly landed at in 1960 on his way to Germany. The town has strong links with Scottish history and traditions and it is oldest baronial burgh in the country, dating back 1000 years. It is claimed that Robert the Bruce drank the water from a well in Prestwick, which according to the legend, cured him of leprosy and it was always known at ‘Bruce’s Well’ after that. Prestwick has a proud golfing heritage and it hosted the first ever British Open Championship in 1860 on one of its 3 golf courses and continued to host the competition for the 11 years that followed. The town has plenty to offer in terms of other sporting pastimes, particularly in its public park The Oval, which has 2 football pitches, a swimming pool, 11 tennis courts, a cricket club and an indoor bowling green. Its mile long esplanade is also full of activities for all the family, as well as offering nice coastal views. Prestwick also has a Royal Navy Air Station called HMS Gannet, which acts as a landing base of Sea King search and rescue helicopters. 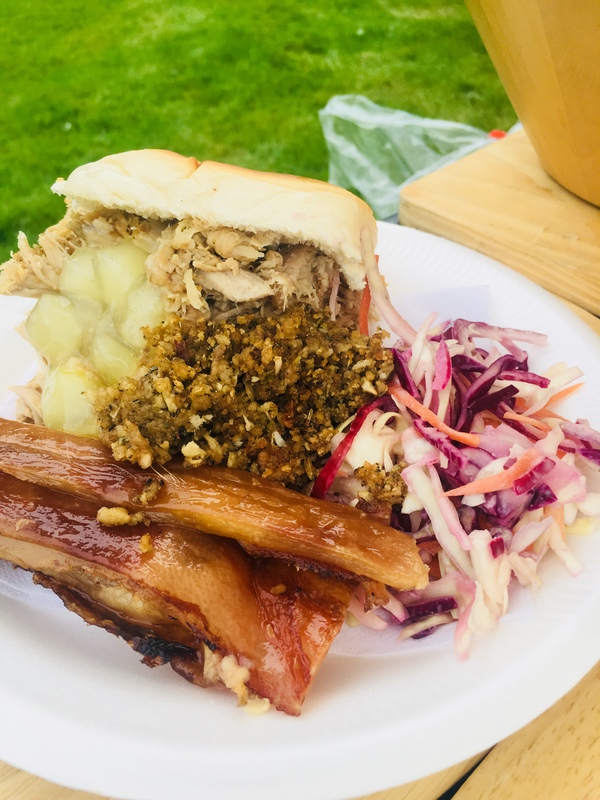 With so many sporting activities available in the town, the residents of Prestwick can certainly find plenty of different ways to work up an appetite, but luckily the Hog Roast Prestwick team are here to fill everyone’s rumbling stomachs with by far the best hog roasts in the area. We are kept very busy catering for all different kinds of events in Prestwick, from hearty buffets in The Oval park for sporting teams, to feeding large crowds at open air events on the Esplanade, as well as regularly providing food for wedding receptions and corporate catering for company golfing weekends. When there is any kind of event happening in Prestwick, the Hog Roast Prestwick team are always the first port of call to provide the catering, due to our ability to provide superior locally sourced ingredients and prepare them at any venue in the town. Of course, hog roast catering will always be the ideal option for large outdoor events, but we are also becoming an increasingly popular choice for indoor gatherings because we are capable of adapting to any environment and giving you great food wherever we are.